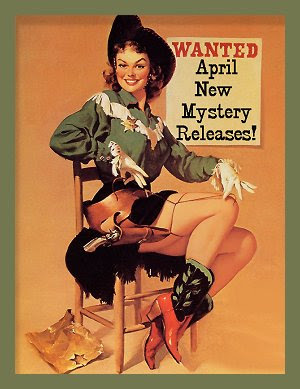 April 2016 New Mystery Releases! April seems to have a little something for everyone, including some favorite authors, so it was a bit difficult to narrow my list down. I tried to get it to my usual thirteen, but I just couldn't. Fourteen picks this month, and I've got them arranged by release date. Of course I've also included all the information you'll need to find each title at your favorite "book procurement" locations. Book synopses are courtesy of Amazon. Happy Reading! 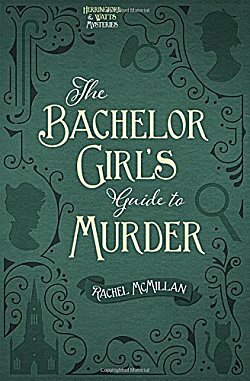 Synopsis: "In 1910 Toronto, while other bachelor girls perfect their domestic skills and find husbands, two friends perfect their sleuthing skills and find a murderer. 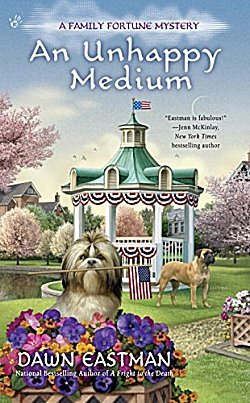 While searching for answers, donning disguises, and sneaking around where no proper ladies would ever go, they pair with Jasper Forth, a police constable, and Ray DeLuca, a reporter in whom Jem takes a more than professional interest. Merinda could well be Toronto's premiere consulting detective, and Jem may just find a way to put her bachelor girlhood behind her forever--if they can stay alive long enough to do so." Synopsis: "1930. The Lance family, major shareholders in Marshfield Aviation, watch in horror as their prototype fighter fails to pull out of a dive during a display before government and military VIPs. 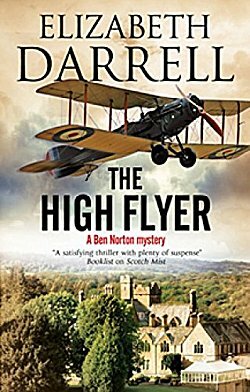 At the pilot’s funeral, a man introduces himself to the widow as Ben Norton, a close friend of her husband during war service with the Royal Flying Corps. Ben becomes Marshfield’s new Test Pilot, determined to refute worldwide press claims of a faulty aircraft design. Convinced that deliberate sabotage was behind the crash, the young flyer vows to uncover whoever was responsible. But who is Ben Norton? And why is it that the man he claims to have been his close wartime colleague had not once mentioned Ben to his wife during eight years of marriage?" Synopsis: "Mary Russell is used to dark secrets—her own, and those of her famous partner and husband, Sherlock Holmes. Trust is a thing slowly given, but over the course of a decade together, the two have forged an indissoluble bond. And nothing will ever be the same." When one of the zombie runners is found murdered and then Grace disappears, Clyde realizes her grim premonition is dead-on. Now, she and her police detective boyfriend Mac must find a ghoulish murderer before someone points the finger at Grace. And when a tangled web of family secrets and old grudges combines with a mysterious case of stolen diamonds, even someone as quick-witted as Clyde might not be able to outrun a killer..."
Synopsis: "Moving from Los Angeles to small, picturesque Mackinac Island to work in a bike shop might seem crazy, but Evie knows it’s the best decision she’s ever made. That’s not to say she’s gotten rid of all her stress; after all, the upcoming Lilac Festival has everyone in town riding in circles. 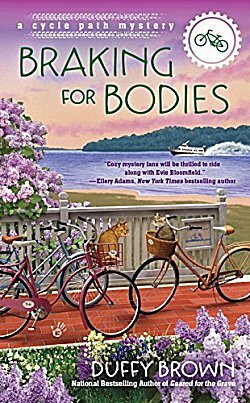 But things really go downhill when a ferry full of tourists—including Evie’s friend Fiona’s former boss, the editor of a sleazy rag in LA—arrives on the island. No one knows why Peephole Perry came all the way to Mackinac, but things aren’t looking good for Fiona when Peep is found dead. 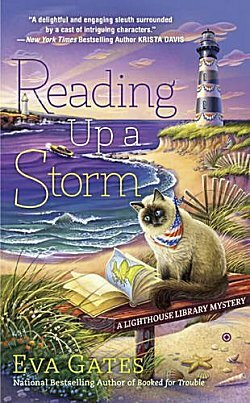 Now Evie has to gear up and get a grip on the truth if she wants to clear her friend’s name..."
Synopsis: "After a successful party at Bodie Island’s Lighthouse Library, librarian Lucy Richardson is ready to curl up with her cat, Charles, and a good book. But her R and R is cut short when she notices some mysterious lights leading a small boat to crash into the coast. The two shipwrecked seafarers survive the ordeal—but one of them shows up dead ashore a few days later. Lucy finds herself again roped into a murder investigation and navigating a sea of suspects, all of whom had motives to deep-six the deceased. And this time, she has a sinking feeling that finding the real killer won’t be so easy..."
Synopsis: "Inspector Singh is irate. He's been instructed to attend a Commonwealth conference on policing in London: a job for paper pushers, not real cops, as far as he is concerned. And as if that isn't bad enough, his wife is determined to come along to shop for souvenirs and visit previously unknown relatives. 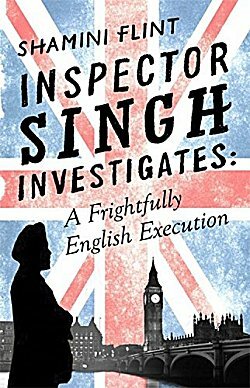 But it isn't long before the cold case that lands on Singh's ample lap turns into a hot potato and he has to outwit Scotland Yard, his wife and London's finest criminals to prevent more frightful executions from occurring on his watch - or indeed, from being added to their number." Synopsis: "It’s the oldest bookshop in a town full of bookshops; rambling and disordered, full of treasures if you look hard. Jude found one of the treasures when she visited last summer, the high point of a miserable vacation. Now, in the depths of winter, when she has to run away, Lowell’s chaotic bookshop in that backwater of a town is the safe place she runs to. Jude needs a bolt-hole; Lowell needs an assistant, and when an affordable rental is thrown in too, life begins to look up. 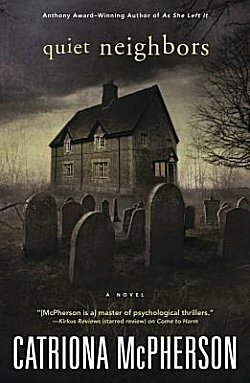 The gravedigger’s cottage isn’t perfect for a woman alone, but at least she has quiet neighbors. Quiet, but not silent. The long dead and the books they left behind both have tales to tell, and the dusty rooms of the bookshop are not the haven they seem to be. 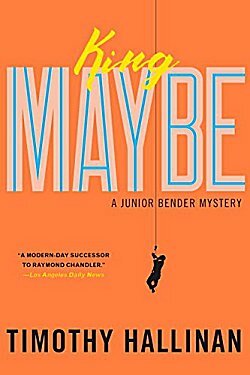 Lowell’s past and Jude’s present are a dangerous cocktail of secrets and lies, and someone is coming to light the taper that could destroy everything." Synopsis: "Los Angeles’s most talented burglar, Junior Bender, is in the middle of stealing one of the world’s rarest stamps from a professional killer when his luck suddenly turns sour. It takes an unexpected assist to get him out alive, but his escape sets off a chain reaction of blackmail, strong-arming, and escalating crime. By the time Junior is forced to commit his third burglary of the week—in the impregnable fortress that’s home to the ruthless studio mogul called King Maybe—he’s beginning to wish he’d just let the killer take a crack at him." 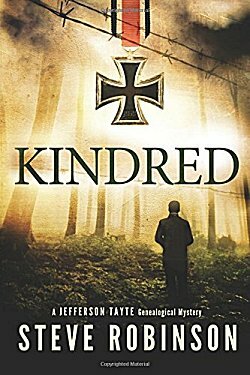 Synopsis: "Jefferson Tayte is good at finding people who don’t want to be found. For years he has followed faint genealogical trails to reunite families—and uncover long-hidden secrets. But Tayte is a loner, a man with no ties of his own; his true identity is the most elusive case of his career. But that could all be about to change. Now Tayte has in his possession the beginnings of a new trail—clues his late mentor had started to gather—that might at last lead to his own family. With Professor Jean Summer, his partner in genealogical sleuthing, he travels to Munich to pick up the scent. But the hunt takes them deep into dangerous territory: the sinister secrets of World War II Germany, and those who must keep them buried at any cost. When their investigations threaten to undermine a fascist organisation, Tayte and Summer know time is running out. Can they find their way to the dark heart of a deadly history before they become its latest victims?" Synopsis: "Los Angeles, 1937. Lillian Frost has traded dreams of stardom for security as a department store salesgirl . . . until she discovers she's a suspect in the murder of her former roommate, Ruby Carroll. Party girl Ruby died wearing a gown she stole from the wardrobe department at Paramount Pictures, domain of Edith Head. Unraveling the mystery pits them against a Hungarian princess on the lam, a hotshot director on the make, and a private investigator who's not on the level. All they have going for them are dogged determination, assists from the likes of Bob Hope and Barbara Stanwyck, and a killer sense of style. In show business, that just might be enough. 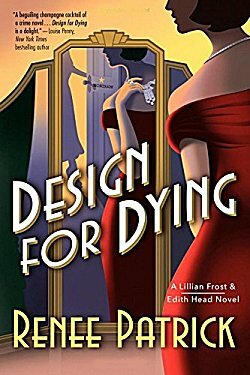 The first in a series of riveting behind-the-scenes mysteries, Renee Patrick's Design for Dying is a delightful romp through Hollywood's Golden Age." 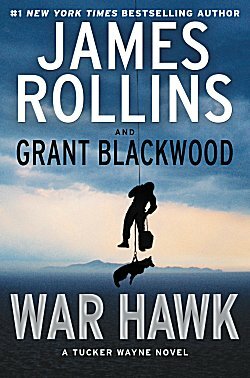 Synopsis: "Former Army Ranger Tucker Wayne and his war dog Kane are thrust into a global conspiracy that threatens to shake the foundations of American democracy in this second exciting Sigma Force spinoff adventure from New York Times bestselling authors James Rollins and Grant Blackwood. With no one to trust, they will be forced to break the law, expose national secrets, and risk everything to stop a madman determined to control the future of modern warfare for his own diabolical ends. But can Tucker and Kane withstand a force so indomitable that it threatens our very future?" 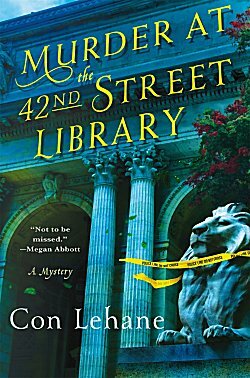 Synopsis: "This first book in an irresistible new series introduces librarian and reluctant sleuth Raymond Ambler, a doggedly curious fellow who uncovers murderous secrets hidden behind the majestic marble façade of New York City’s landmark 42nd Street Library. Synopsis: "Darko Dawson has just been promoted to Chief Inspector in the Ghana Police Service—the promotion even comes with a (rather modest) salary bump. But he doesn’t have long to celebrate because his new boss is transferring him from Accra, Ghana’s capital, out to remote Obuasi in the Ashanti region, an area now notorious for the illegal exploitation of its gold mines. When Dawson arrives at the Obuasi headquarters, he finds it in complete disarray. The office is a mess of uncatalogued evidence and cold case files, morale is low, and discipline among officers is lax. On only his second day on the job, the body of a Chinese mine owner is unearthed in his own gold quarry. 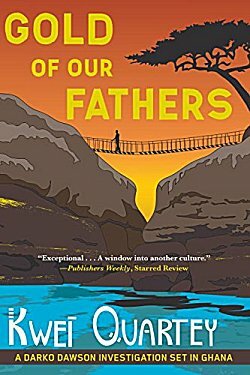 As Dawson investigates the case, he quickly learns how dangerous it is to pursue justice in this kingdom of illegal gold mines, where the worst offenders have so much money they have no fear of the law." This month's new releases are an embarrassment of riches. It's always a good month when there's a new Tim Hallinan... or Kwei Quartey... or Shamini Flint book. 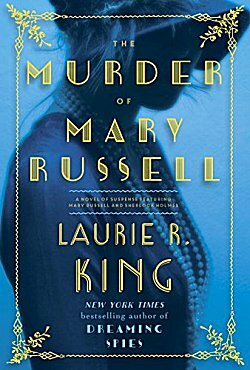 The same thing goes for a new Laurie R. King book, but did you read the synopsis of The Murder of Mary Russell? A book that finally focuses on Mrs. Hudson? I can't wait! As far as new-to-me authors go, I'm really looking forward to getting my hands on Murder at the 42nd Street Library and Quiet Neighbors. Both of them sound really good, and I have to admit that after meeting Catriona McPherson at Left Coast Crime, I simply have to read one of her books! What about you folks? Which of these titles really make your propellers spin? Inquiring minds would love to know! I could put it in that safe place of mine where I found the books I'd set aside for a giveaway....? What a fun list of books - maybe of which are on my list as well. I feel the same way about Catriona McPherson - after hearing her at LCC, I want to read her books. And Quiet Neighbors looks like a good place to start. It certainly does, doesn't it? Can't wait! I've got the Mary Russell book pre-ordered. Can't wait for it to show up on my Nook. When I read that it focused on Mrs. Hudson, I think I did a little happy dance around the house.